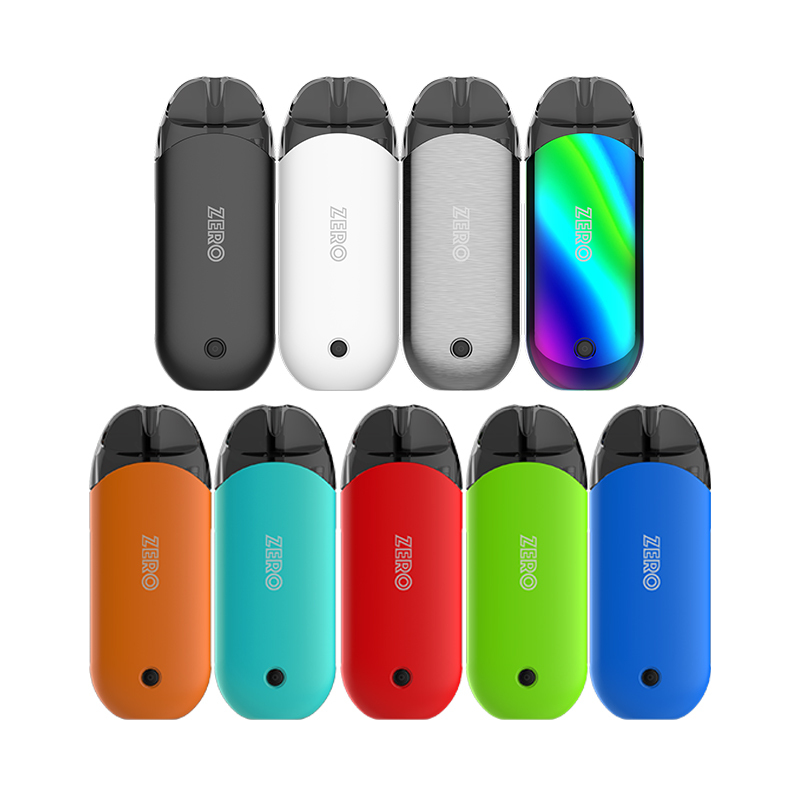 Vaporesso Renova ZERO Pod System kit presents a beautifully crafted vaping device.The Renova ZERO is constructed out of durable Zinc Alloy with small grooves for easy handling, offered in a spectrum of vibrant color options. The ZERO is integrated with Vaporesso's OMNI Board Mini, enable by a single ON/OFF button mechanism with a suite of functions such as Auto Temperature Control and a suite of safety protections. It is powered by a built-in rechargeable 650mAh battery, with colorful LED light indicator to provide instant battery life feedback and capable of fast-charging via microUSB port located on the base. The ZERO All-in-One Kit utilizes a CCELL Coil with ceramic heating elements for a flavorful and consistent vape with longer-lasting capability. The ZERO Refillable Pods are made with PCTG materials, featuring a PTF (Press-to-Fill) method to easily refill e-liquids. Optimized for entry level users and individuals looking for a high nicotine vape system, the Vaporesso ZERO System is a phenomeal option for the portable vape pods segment. You can get it with $29.9 from Urvapin, just following this link: Vaporesso Renova Zero Kit. 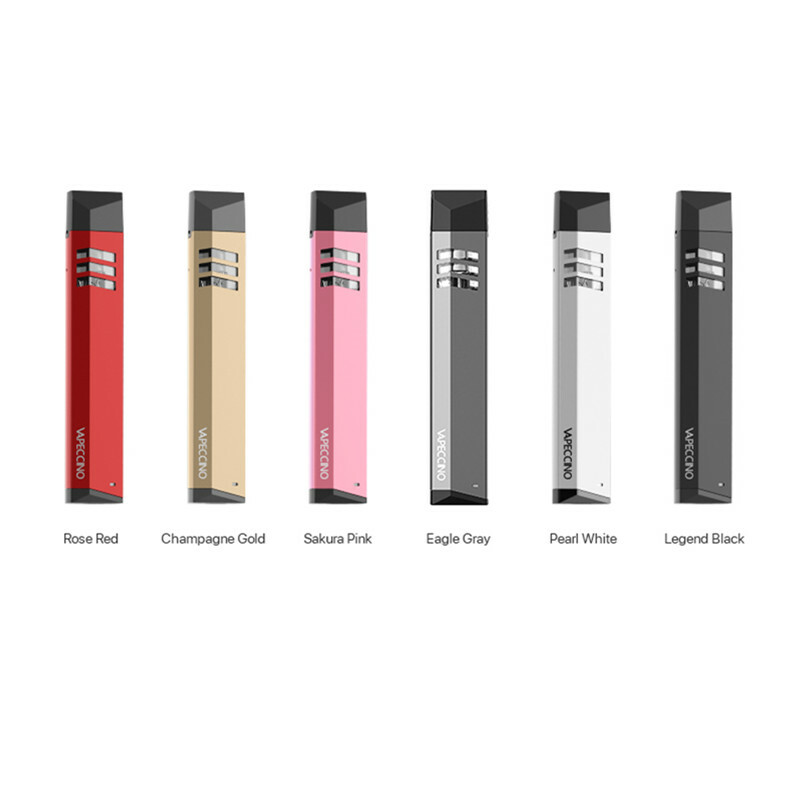 Vapeccino Mate 1 is a refillable pod vape shaped similarly to a beefed-up JUUL. With two available 1.5 mL pods for the device, the Mate 1 tries catering to different vaping styles. One for a cigarette-type draw and one for producing more vapor with a loose and airy draw. Making things more intriguing, Vapeccino uses a ‘nano tech’” plating process that makes the pods’ coils appear golden, which is supposed to be resistant to coil build-up. According to Vapeccino, this GCT (Golden Core Technology) will last several times longer than Kanthal and provide a ‘purer’ taste. You can booking it with $25.99 from Urvapin, just following this link: Vapeccino Mate 1 Kit. 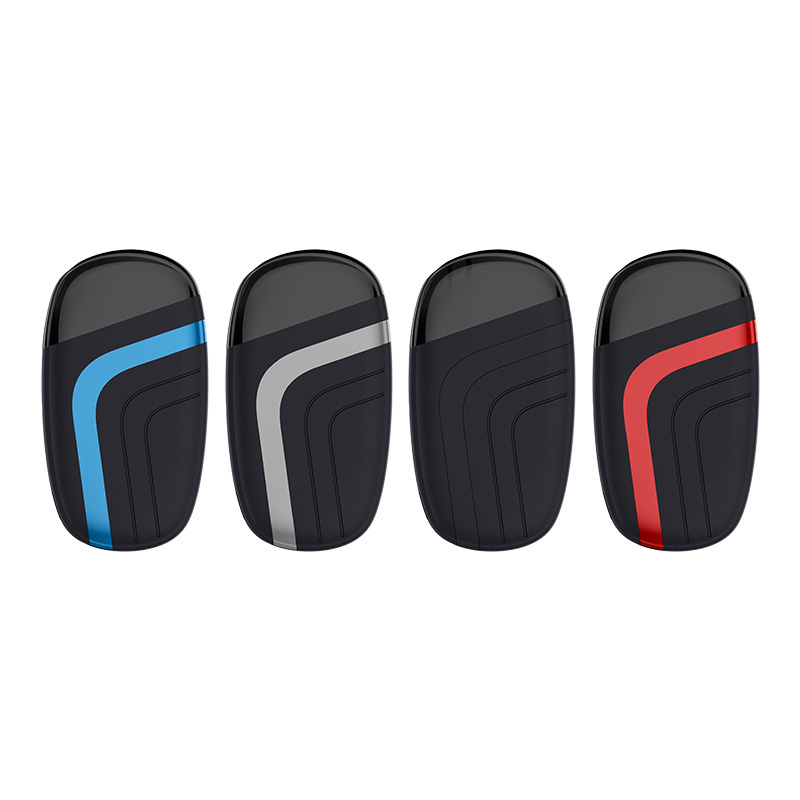 Rincoe Neso Kit is an All-in-one ultra thin and portable-designed pod system kit. Constructed by the zinc alloy shell with a rubberized finish, the Rincoe NESO Kit is equipped with the 2ml e-juice pod, a 1.3ohm coil that allows for plenty of juice capacity to provide pure flavor and great vaping experience. Comes with a built-in 370mAh battery, the NESO allows you to enjoy vaping any time. There is no fire button, just draw and the smoking will begin with multiple protections.You can booking it with $22.75 from Urvapin, just following this link: Rincoe Neso Pod Kit.